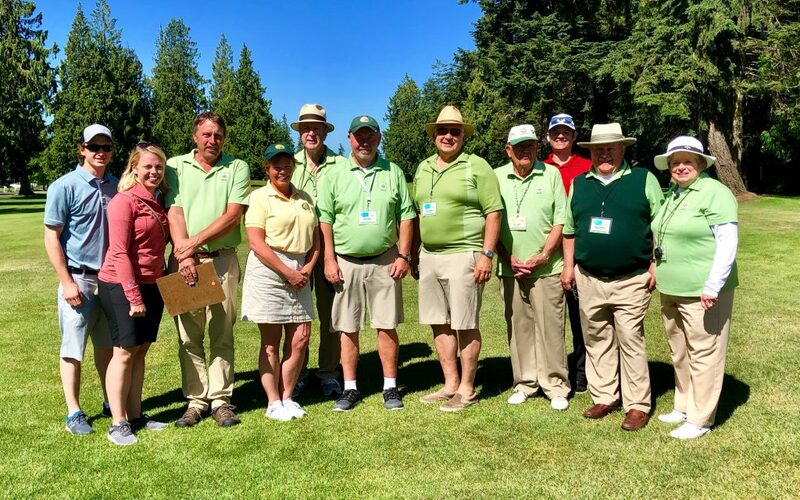 Volunteers – the driving engine of WJGA. L to R; Adam Hagen, Paige Rachor Hagen, Mark Rachor, Pam Rachor, Doug Goldie, Dave White, Craig Koznek, Bill Hehn, Tyler Johnsen, Mike and Suellen Hamm. Thank you for choosing to participate in the WJGA. Mark and I are excited to meet our new junior members and look forward to seeing our returning players and their families again this summer. Due to the various school schedules and snow make up days, please check your last day of school prior to registration. We are extremely fortunate to have the support of amazing courses again this year. Please read the tournament page; it contains important details about dress code expectations, practice facilities, tees, and more. Please read the rules and responsibilities for both players and parents, along with any current changes in WJGA policies. Also, be sure to read the WJGA Code of Conduct, player and gallery rules, dress code, and tournament withdrawal and refund information carefully. Please note that there will be no entries accepted into any sub-district tournament within 5 days of the tournament. We depend on our families volunteering to enjoy a successful season, and especially need help at scoreboards, scoring and registration. Please feel free to call us if you have any questions. See you in June! Tee times will be posted on the District 1 Tee Times page of the WJGA website at least 48 hours prior to the event. Pairings cannot be changed once the tee times are posted. Pairings cannot be requested. Please don’t ask to be paired with your friends. All players should arrive at the course and check-in AT LEAST 30 minutes prior to their posted tee time. All players in the 12-18 age divisions play 18 holes, while players age 8-11 play 9 holes. See my tournaments for the season here! See my tee time for each event here! See who is playing in each of my events here! See results in real time for each event here! Contact my District Director here!